While your roof may be something you take for granted, it’s definitely a part of your house you should be keeping tabs on, in order to avoid damage to the rest of your home, as well as avoiding serious harm to you your family. 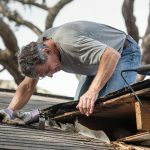 Living under a damaged roof is extremely dangerous, read further for a look at the 8 signs you need to hire a roof replacement to fix your damaged roof. Shingles should lay flat, as close to the roof as possible. It’s a good idea to take a look at your roof after rain, snow or a windstorm, making sure there are no signs of trouble. In the case of shingles that are curling, or cupping, there may be a ventilation issue at play. Should you run across issues like cracking, missing shingles, or shingles that are buckling, it’s a good idea to get someone from a roof replacement onsite to assess the damage. Asphalt singles are covered in mineral granules, which offer protection against UV light, water, bad weather. If you notice granules appearing in the gutters or runoff water, it may be a sign that your roof is beginning to wear out. A note granule loss, if you’ve replaced your roof recently, some loss is normal. The installation process may loosen the granules, as roofers were walking over the roof. Once in place, however, you’ll want to keep an eye out for granules in the gutter—loss after a big storm, for example, could be a sign of further damage. Bald spots, caused by granule loss (mentioned above), which are easier to spot, are a sign that something is amiss. In many cases, you can spot bald spots easily from the ground. Again, a balding roof may give you some insight as to when it’s a good idea to get the problem checked out. Check the flashing around the vents, chimney, skylights. This stuff seals the seams of the roof, protecting against rains harsh weather. Flashing with breaks or cracks could cause leaks in the roof, leading to bigger problems down the road. Another note flashing. Older homes will often use cement or tar-based flashing. Upgrading to a more durable metal flashing can prevent cracking will bolster your shingles from whatever the weather has in store. Upgrading to a more durable metal flashing can prevent cracking will bolster your shingles from whatever the weather has in store. A sagging roof definitely spells trouble for homeowners. 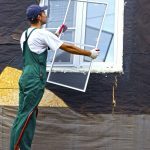 Sagging is more than just a cosmetic issue, this problem could be indicative something larger like water damage, weakened materials or structural rot. Weight becomes a major issue during bad weather. Heavy rainfall, ice, snow can lead to big problems when they sit on your roof for extended periods of time. Too much weight applied to the roof can weaken the structure of the foundation over time, eventually, you’ll run the risk of having the roof cave in on your home. Shingles may play a big role in how long your roof will hold up. High-quality materials like slate last longer than roofs made with asphalt shingles. 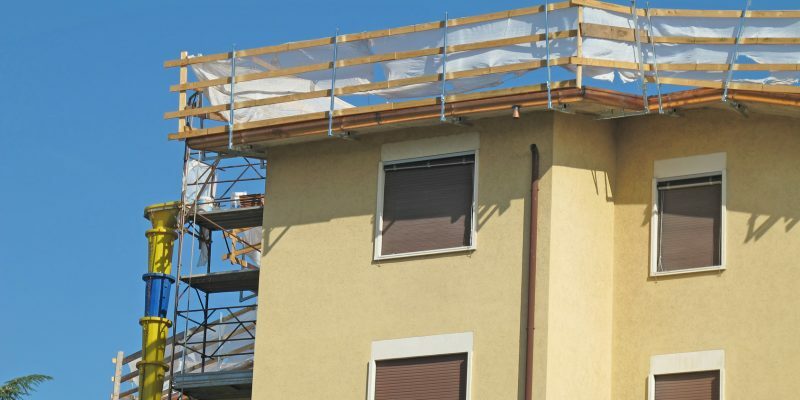 Low quality or poorly installed roof material (including beams nails) may contribute to sagging over time. 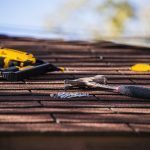 One of the more obvious signs it’s time to call a professional roofer—even small leaks can cause big trouble. Leaks are one of the earliest tell-tale signs of roof failure can lead to water damage or a weakened foundation. 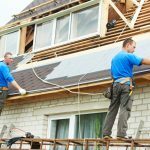 While it may seem like the easiest path forward is to patch up leaks as they develop, you may end up spending more money in the long run on small repairs. Additionally, roof leaks can lead to damage to your ceilings or attic, as well as major health concerns. Water damage often leads to mold or mildew—which can cause health problems like allergies, rhinitis, asthma, or more serious, life-threatening concerns. Sure, the growth of toxic black mold is rare, but chances are, you’d rather avoid putting you your family at risk. Should you be experiencing leaks, it’s a good idea to at least consult with a roof replacement professional, to develop a path forward. You’ll definitely want a safe, leak-free roof come winter. Look at your old home improvement records for information regarding your roof’s age. Knowing how long you’ve had this specific roof over your head can offer a great deal of insight into how much life it has ahead. In general, an asphalt shingle roof lasts just 25 years, give or take depending on climate conditions. Roofs installed over existing shingles, on the other hand, may only last up to 20 years. Even if you’ve got a roof that looks good for its age, it’s a good idea to get it replaced if it’s been hanging around for 25+ years. Finally, if you can literally see the sun peeking through cracks in the attic, it’s time to hire a roof replacement. Not only are you losing out on efficient temperature control, gaps cracks in your roofing can lead to damaging leaks that can undermine the structural integrity of the foundation. You’ll save money in the long run by taking care of this issue right away. Roof Replacement in SC—Call Davis Contracting Today! When the time comes to hire a roof replacement, look no further than Davis Contracting. Our is licensed, bonded, insured more than well-equipped to repair replace roofs that don’t properly protect your home loved ones from harm. If you suspect it’s time for a new roof, give us a call we’ll get you taken care of.